Anyone in the field of digital marketing would have across business intelligence tools by now. Even if your company works with a limited budget, you can benefit from key insights about consumers to increase conversion rates. As for all that manual work driving your team crazy, you don’t have to do that anymore. Not when you have business intelligence tools at your fingertips to automate the process. If your next bonus is hanging on the success of your social media campaigns, content marketing, or raising your domain authority, you’ll be glad to know that business intelligence tools can help. You no longer have to fumble around in the dark with limited information and a whole lot of guesswork. Not when you can harness technology to make “what if” predictions and scenarios for you. To offer targeted messages to the right consumers at a time when they’re ready to buy. Not only will you cut manual work out almost completely, but you’ll have a robust database of customer details that you can use to manage relationships and nurture lost or cold leads. If you’re wondering where to invest your marketing spend in the coming months, the smart money’s on the right business intelligence tools. Make more sales, recuperate lost leads, incentivize your team, and stay abreast of the latest trends in digital marketing. All of this, without having to blow your budget or get a degree in computer science to be able to work them. Even better than that? You don’t even have to overhaul your existing CRM (if you have one) to make them work! You can integrate most business intelligence tools into your existing infrastructure. With more and more companies waking up to the importance of Big Data to make their businesses more efficient, it’s time to check out some of the best business intelligence tools on the market. Here are six specially picked that make sense for digital marketers. InsightSquared is perfect for small and mid-sized businesses, who want to get more of their MQLs to convert. 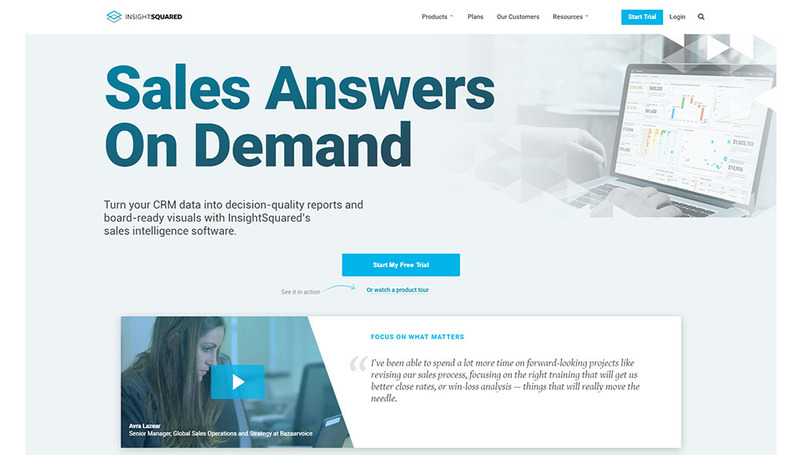 This business intelligence tool will help you optimize your sales processes for noticeably higher conversion and retention. With a twofold approach, marketers can compile and analyze relevant insights on their customers and data on sales and financial performance. But they can also see how their team is performing, and keep an eye on their KPIs while looking for areas of improvement. Generally speaking, InsightSquared is easy to use and brings with it a wealth of valuable information. You can even print our detailed sales reports that turn big data into understandable graphics, perfect for keeping upper management informed. It’s also a good tool when it comes to new lead generation and predicting emerging trends in product purchasing or usage. There are three different versions available – Basic ($65/user), Standard ($75/user), and Enterprise ($95/user). This tool is also available in English, German, Chinese, and Japanese. Best of all, it integrates seamlessly with Salesforce, QuickBooks Pro, Online, and Desktop. The beauty of HubSpot Marketing is that you can manage your online marketing tools from one place. This business intelligence software is ideal for planning, measuring and optimizing any campaign with ease. It provides a wide range of features to help you manage all aspects of your marketing strategy. Using HubSpot Marketing, you can reorganize your website or blog, redesign your landing pages and even create a better mail template for your email marketing strategy. All this without the need of IT specialists. Then, you can reorganize your content using the SEO suggestions provided by the software and optimize your publishing hours. Share the right content with influencers. For a higher marketing impact, you should use this tool together with HubSpot Growth Stack software, which also contains HubSpot CRM and Sales. Prices for the entire package start at $200/month (Basic) and can reach $2,400/month (Enterprise). BIME can help increase efficiency in both marketing and sales, thanks to its ability to analyze data from multiple sources and make predictions based on the information collected online. It integrates various analytics, from Google Analytics to Twitter, Facebook, and even YouTube. Its interactive dashboards allow in-time monitoring and insight, so you can measure all your marketing campaigns in one place, reducing working hours and human errors. Using cloud-based technology, BIME is one of the most popular BI tools today, used by large companies like McAfee, Royal Canin, and Lenovo. However, this doesn’t make BIME an exclusive tool for big businesses. BIME can also bring great results for small companies and even freelancers. There are packages to suit every business and every budget. The prices vary from $490/month to $800/month, depending on the services you choose and the payment frequency you want to select. BIME is making waves with digital marketers right now, so if you’re considering only one business intelligence tool, this could be a sensible choice. 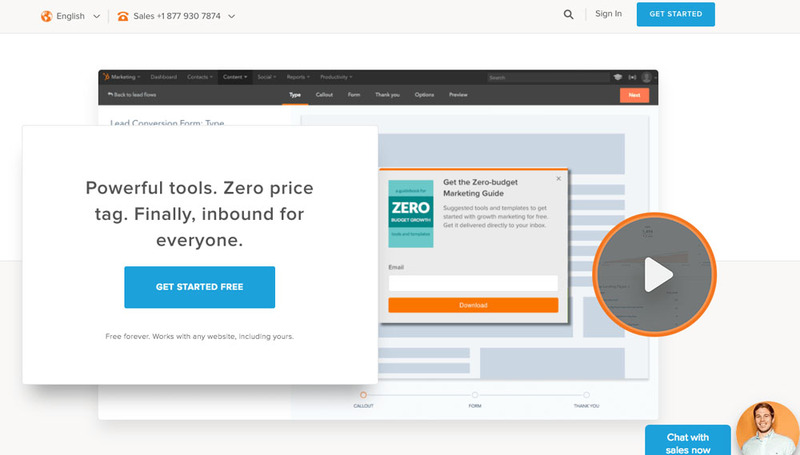 Optimizely was created to increase customer engagement, using A/B testing to optimize your design and content to attract and maintain customers. This business intelligence tool allows you to perform a wide range of changes within your site, with no need for coding or programming. This helps to provide the best user experience to your potential clients. All changes you perform are tested, allowing you to improve your content continuously. Optimizely is best used in conjunction with another business intelligence tool that can optimize your CRM, as this one is purely focused on user experience. But with user experience becoming ever more important in SEO and conversion rates, you don’t want to let this powerful tool pass you by. Optimizely helps you target your audience, customize messages and measure results using analytics. The software is available in three versions, Standard, Professional, and Premium. Prices are available by contacting their sales team. This business intelligence marketing tool is useful for any type of business. It incorporates features for analyzing all your data, including web traffic, reviews rating, the number of Facebook likes, or retweets. You have all the information available on easy-to-use dashboards, along with the possibility of comparing your marketing results with the ones of similar websites. A complete report with just a few clicks, ready for you to use for improving your marketing efforts right away. Once the software calculates your score, it will help you come up with creative solutions to improve your rank and increase your sales. It also incorporates a tool for creating better landing pages and one for performing A/B tests to optimize your content. As with most BI software, users don’t need any programming or coding knowledge to perform these changes. If your strategy involves email marketing, Market Smart 360 can help you build your lists, design email formats using optimized templates, customize messages depending on your audiences, and even track results. 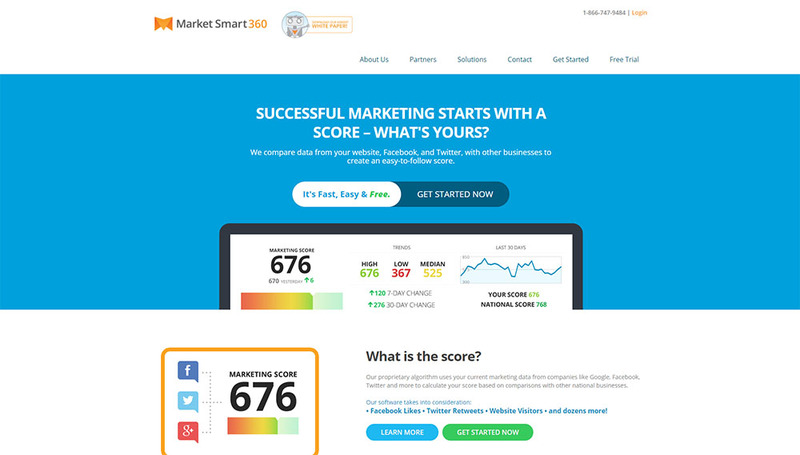 The software comes in a free version that allows you to calculate your marketing score. To benefit from other useful features, you can choose between five different versions, with prices ranging from $12.95/month to $139.95/ month. Knowing your audience is the key to effective digital marketing. The more you know about your public, the higher your chances are of increasing traffic, engagement and eventually sales! So, business intelligence tools are essential when you’re looking to optimize your marketing and conversions. Test various products – most of these tools provide free trials – and decide which one better suits your needs in your stage of business. The most expensive tools are not always the best solutions, especially if you’re still new in the business. So, don’t let yourself be guided by prices, but rather by results. If it’s important to you that your business intelligence tool also measures the performance of your team, try using ones like InsightSquared or HubSpot Marketing. 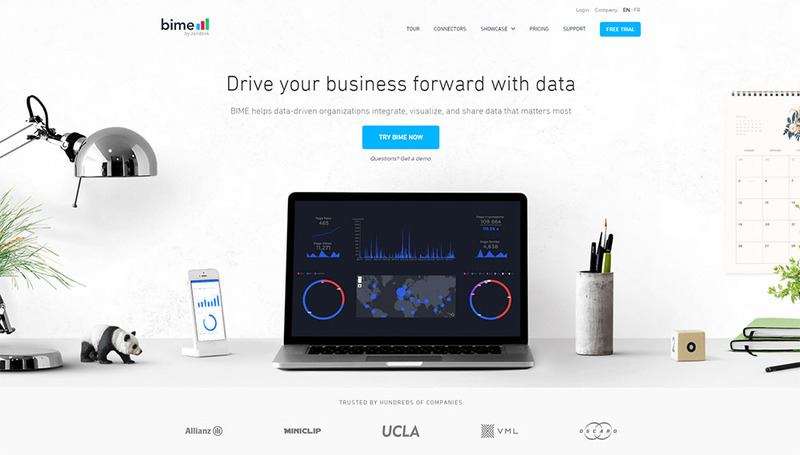 If you want to integrate various analytics, BIME could be the right choice. 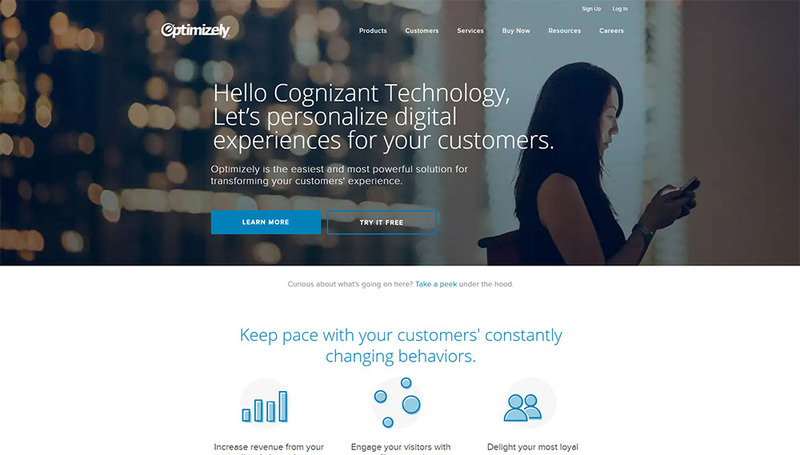 And if your focus is on user experience, you could start off by using Optimizely. 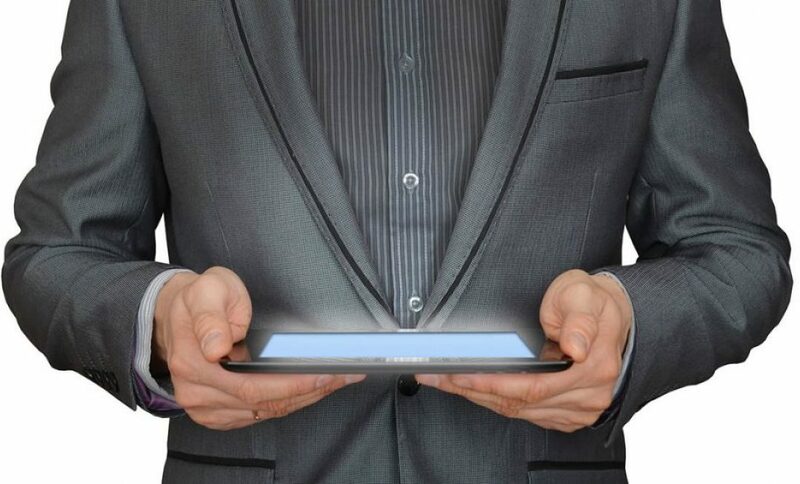 Essentially, all business intelligence tools have one common goal in mind. They were created to make your business smarter! To empower digital marketers and sales teams with the knowledge they need to increase conversions, craft targeted campaigns to clients, and deliver the right message at the right time to the right people. With any one of these tools in your digital marketing arsenal, you’ll be better equipped to beat out the competition, offer improved customer service and increase your bottom line. Christina Comben is Content Manager at localization and translation services provider, Day Translations. Multilingual and qualified to MBA level, Christina is passionate about writing, traveling and continued education.